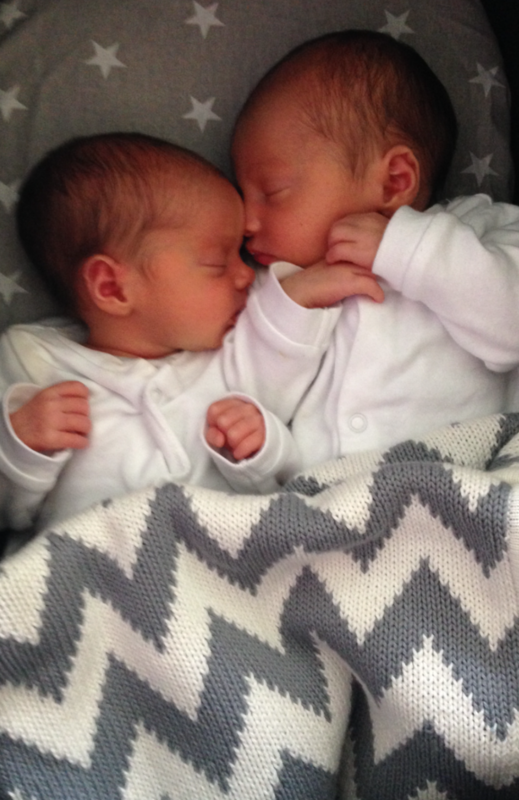 12 days ago I brought two adorable humans into the world. I am still getting my head around this, I look at them and cannot believe they are mine. I often find I put my hand on my tummy expecting to find the comfort of my solid bump only to discover that a tender, wobbly, shelf tummy has been left in its place. On conversation with well meaning friends and family I have learned that this shelf (the overhanging muffin top above my c-section scar) is widely referred to as a mum-tum! I am told this will be a temporary state, though frankly in my hormone fuelled state I don’t really care. Well, hello reality. How nice of you to stop by. No longer pregnant but also no longer the same me of before. Why would I be? My ribs have been forced to widen, my hips have gained inches under the weight of the babies and my tummy now has a shelf. The scales show the same number but my shape has changed and I am OK with that. This is not something to beat myself up about, this should be viewed the same way as when I changed my hair colour… So the beautiful Chloe blouse in pale yellow doesn’t do for brunette me what it did for blonde, it had to go. But now lovely bright DVF prints sit in its place and work for me. What is my point? Dressing a mum-tum is not about rushing to “get back” to pre-pregnancy you…that person is gone and for good reason. This is an excuse to go shopping…embrace boyfriend and oversized styles to give your body time, show off your newly toned upper arms that have benefitted from countless baby lifts, throw yourself into the comfort of the current sportswear trend (winning due to fashion points and comfort factor with added mum-friendly practicality). A mum tum is a great thing…. fellow mum-tummers…. We’ve got this. Lovely piece and well written.